A new take on the marine look. 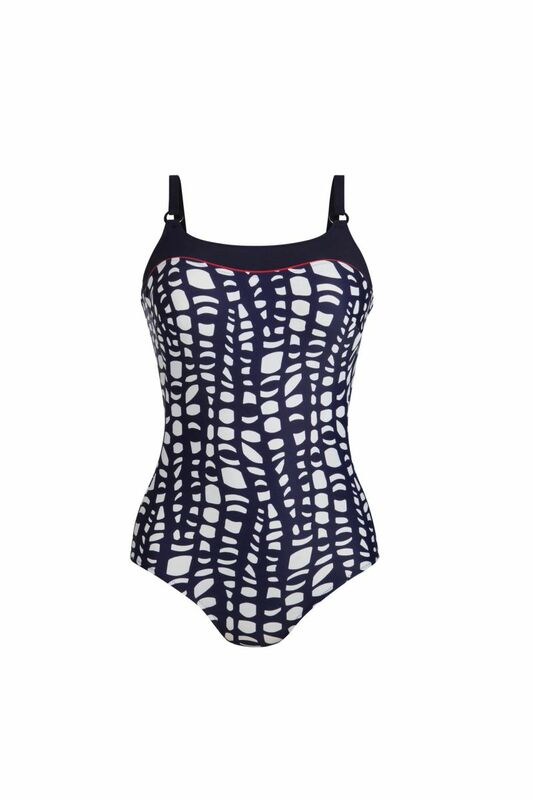 The Medellin bathing suit with prosthesis pockets comes in a modern blue and white dot print. The block color panel in blue at the bust visually decreases the cup size. The high-quality decorative metal rings on the soft, adjustable straps are a classic, chic detail.